This guideline has been reproduced on A4Medicine with the kind permission of the respiratory consultant. 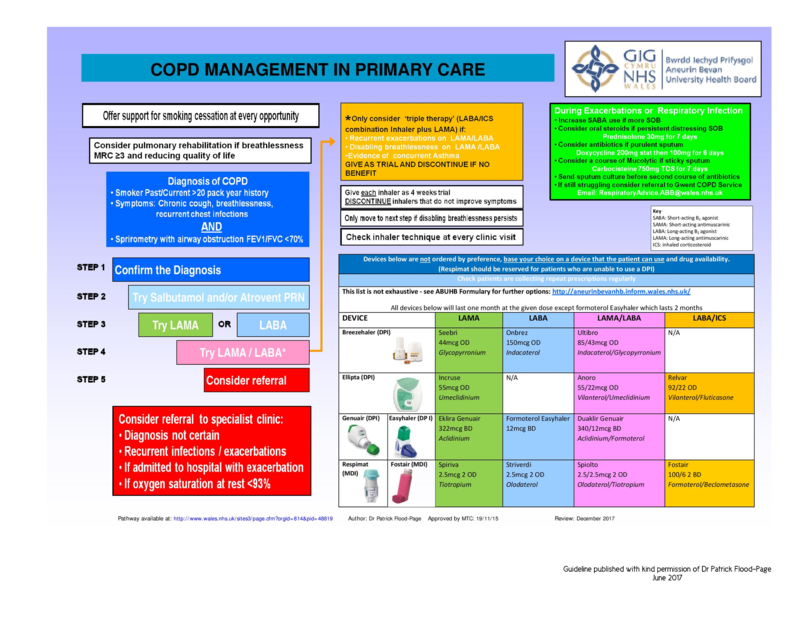 It can be used a quick reference in the management of patients with chronic obstructive lung disease. Note the first line antibiotic in exacerbation and that the steroid is for a 1-week duration.